So we’re building a brewery. We’ve had a wild 16 months since we took Whiplash full time and to be honest it’s knocked lumps out of us. We’ve always wanted to have our own place and last summer we decided that we’d take the leap this year and build a beer machine that was really special. There’s plenty more information coming on the kit and what we intend to do with it. We’ve had some successes over the past year with our beers but the biggest and most heartwarming thing for us has been how much we’ve been welcomed into the craft industry by everyone from our brewing peers and you, our customers. To say thank you to everyone who’s helped us get to this exciting stage of building our dream brewery we’ve gone and invited a big group of our friends in brewing to come to Dublin to help us cut the ribbon on our tiny brewery in waiting. Texts and emails were sent to friends we’d love to see here and within an hour we were left in tears as pretty much everyone just gave us an emphatic YES to bringing their beers to Dublin for the party and to experience this great city and country. So we’re all up for a party, and we want you to join us. When we had a look at the confirmations on the first day we realised, yeah, this is going to be huge. Here’s who’ll be coming to Dublin to break this in. 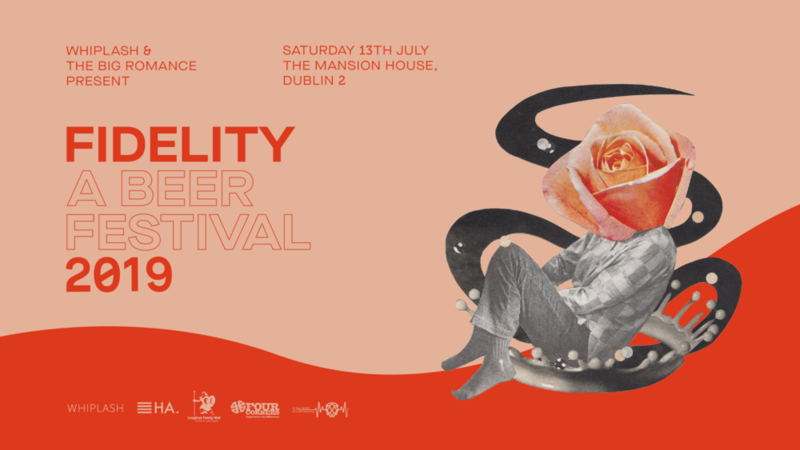 So in the spirit of our friendship and everyone’s upmost focus on quality we’ve named this little festival of beer Fidelity. Next week tickets will go on sale for an almighty party in the historic environs of the Mansion House Round Room on the 13th of July and celebrate Whiplash becoming forevermore a Dublin brewery. Should you become a ticket-holder you’ll arrive and check in, collect your glass at the door and head inside to sample some of the best beers from 32 of our favourite breweries assembled from all over the world along with some special beers from us too. There’s no tokens or cash – your ticket is all you need to sample responsibly at your leisure and meet the amazing people from each brewery as they serve you their beer. Each brewery will bring at least two different beers for each of the two planned sessions making each of them unique in their beer lineup and you’ll have 5 fun-filled hours to sample as many as you’d like. Not only this, the majority of the breweries and beers will be their first ever pours in Ireland. Pretty great yeah? For all this we’ve also teamed up with our friends at The Big Romance who have a long history of putting on some of the best parties Dublin has ever seen with their promotions company Hidden Agenda. They’re on board to play some whopper tunes throughout and make this a real party so bring some dancing tunes as well. We’ve gotta break this brewery in! Tickets will go on sale this Friday @9am at the link below and should you want to fill your boots and come for both sessions you’ll need to pick up an individual ticket for each. Polish your head and we’ll see you on the 13th of July.